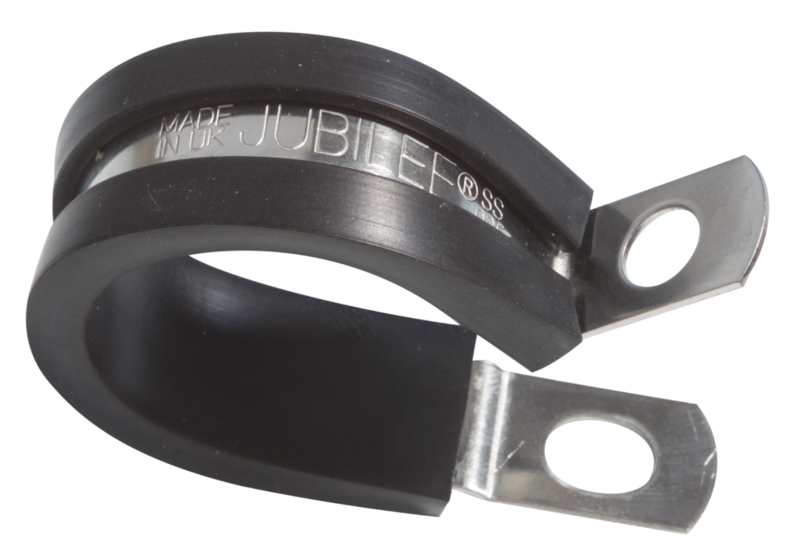 Jubilee® ‘P’ Clip with an EPDM rubber liner. 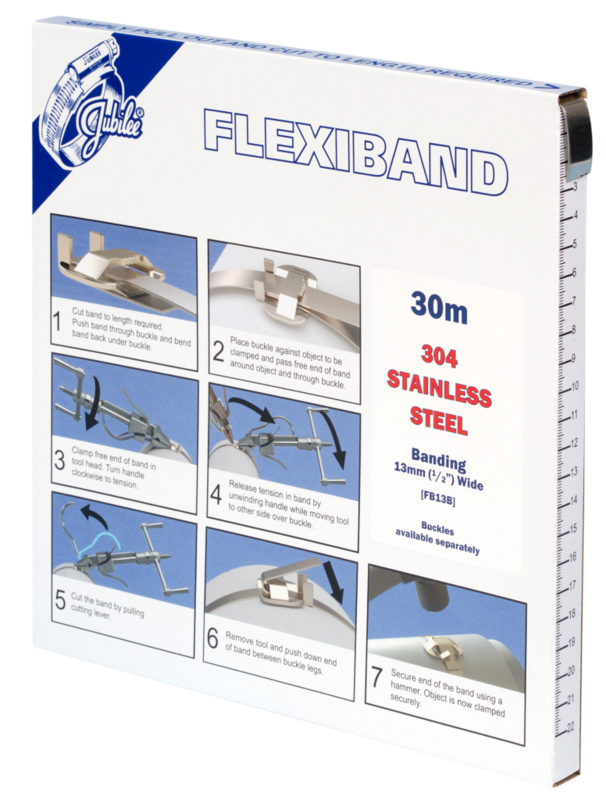 Suitable for retaining pipes, cables and hoses. 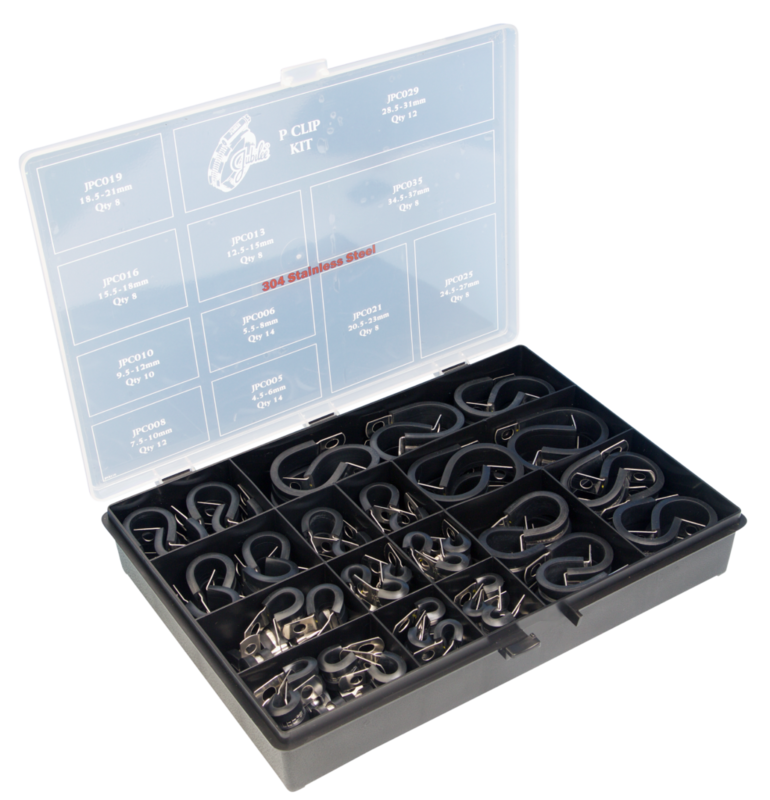 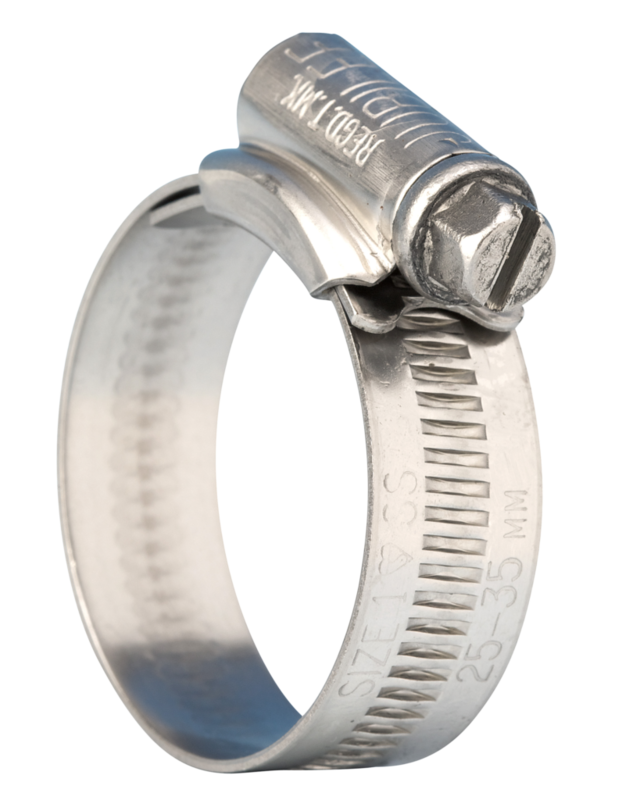 ‘P’ Clips in 304 (18/8) stainless steel are perfect for applications where higher corrosion resistance is required.